Phil Howard – Data Share: How big is the IoT? Data Share: How big is the IoT? New information technologies have transformed world politics, and not always in good ways. Even trying to understand how technology connects us reveals the strengths and weaknesses of the internet we have built for ourselves. To understand what the internet is becoming, let’s start with some basic questions—how big is it and how big will it get? This is the chart and raw data for a series of posts I did for Brookings. Figure 1: How Big is the Internet of Things? How Big Will it Get? Note: You are welcome to the raw data. Source: Author’s calculations based on data documented in Table 1. 1990 0.0001 Internet Hosts Internet World Stats. 1995 0.005 Internet Hosts Internet World Stats. 2000 0.1 Internet Hosts Internet World Stats. 2000 0.2 Connected Devices “Cisco estimates that only 200 million things were connected in 2000.” ReadWrite. 2006 2 Connected Devices “Our IoT world is growing at a breathtaking pace — from 2 billion objects in 2006 to a project 200 billion by 2020.” Intel. 2009 0.9 Installed Base Gartner. 2010 12.5 Connected Devices Cisco. 2011 2 Connected Devices “Global M2M connections will increase from two billion at the end of 2011 to 18 billion at the end of 2022. Connections will be dominated by two sectors: consumer electronics (including cameras, music players and TVs) and intelligent buildings (e.g. security and HVAC systems). Between them they will account for almost 70% of the total.” Machina Research. 2012 8.7 Connected Devices This number would include traditional computer devices, mobile devices, as well as the new industrial and consumer devices that we think of as things. Forbes. 2012 1.3 Addressed Devices Internet Census. 2013 10 Connected Devices ABI Research. 2013 0.313 Smart Meters “The worldwide installed base of smart meters will grow from 313 million in 2013 to nearly 1.1 billion in 2022.” Navigant Research. 2014 20 Connected Devices “Of course, not all of those 200 billion things are actually wired and communicating on the Internet, but some 20 billion are. And, by 2020, this number will grow by 50% to 30 billion connected devices.” EMC. 2015 25 Connected Devices “Looking to the future, Cisco IBSG predicts there will be 25 billion devices connected to the Internet by 2015 and 50 billion by 2020. It is important to note that these estimates do not take into account rapid advances in Internet or device technology; the numbers presented are based on what is known to be true today.” Cisco. 2015 4.9 Installed Base “Gartner, Inc. forecasts that 4.9 billion Connected Devices will be in use in 2015, up 30 percent from 2014, and will reach 25 billion by 2020.” Gartner. 2015 15 Connected Devices “Intel calls this the Embedded Internet, a network space where billions of intelligent embedded devices will connect with larger computing systems, and to each other, without human intervention. In support of this concept, John Gantz of IDC forecasts 15 billion devices will be communicating over the network by the year 2015.” Intel. 2020 30 Connected Devices ABI Research. 2020 75 Connected Devices Business Insider. Morgan Stanley just making things up? 2020 50 Connected Devices Cisco. 2020 30 Connected Devices “Of course, not all of those 200 billion things are actually wired and communicating on the Internet, but some 20 billion are. And, by 2020, this number will grow by 50% to 30 billion connected devices.” EMC. 2020 50 Connected Devices Ericsson. 2020 7.3 Consumer Electronics This figure is for smartphones, tablets and personal computers, though it is not clear if these are part of the 26 billion figure. Gartner. 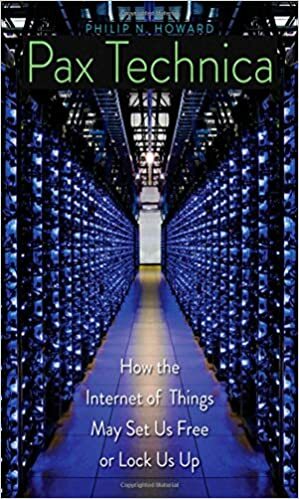 2020 100 Connected Devices “Michael Nelson, the former director of Internet Technology at IBM, and the former director of Technology Policy with the Federal Communications Commission, and advisor to Al Gore. Within 5-10 years, Nelson expects that 100 billion devices will be connected to the net. “Trying to determine the market size of the Internet of Things is like trying to calculate the market for plastics, circa 1940. At that time, it was difficult to imagine that plastics could be in everything. If you look at information processing in the same way, you begin to see the vast range of objects into which logic, processors, or actuators could be embedded.” Hamersmith Group. 2020 200 Online Objects Intel. 2020 26 Installed Base “The Internet of Things will include 26 billion units installed by 2020. IoT product and service suppliers will generate incremental revenue exceeding $300 billion, mostly in services, in 2020.” Gartner. 2022 18 Connected Devices “Global M2M connections will increase from two billion at the end of 2011 to 18 billion at the end of 2022. Connections will be dominated by two sectors: consumer electronics (including cameras, music players and TVs) and intelligent buildings (e.g. security and HVAC systems). Between them they will account for almost 70% of the total.” Machina Research. 2022 1.1 Smart Meters “The worldwide installed base of smart meters will grow from 313 million in 2013 to nearly 1.1 billion in 2022.” Navigant Research.